Anarbagh in Westlake Village! Get $20 Worth of Authentic Indian Cuisine For Just $10! May Purchase Multiple Certificates! Recognized by LA Times and the Daily News as the best Indian restaurant in So. Cal. Dozens of unique dishes plus classics like Chicken Tikka, Lamb Saag, Chicken Masala, Shrimp Curry, Tandoori Grill, and Naan breads! Check out what discerning Tripadvisor diners are saying about Anarbagh! “Best damn Indian Food this side of Bombay.” Eric G.
And now see what the discerning deal team at Conejo Deals is saying about Anarbagh and today’s deal. “Anarbagh….here I come with my Conejo Deals certificate.”-Meredith, stellar customer service director. 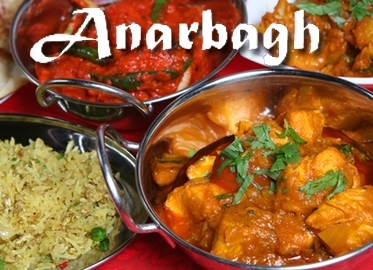 Whether you like your Indian food, mild, medium, or spicy, you will find your favorite dish on Anarbagh’s comprehensive menu. And of course, there are plenty of dishes for vegetarians!